In a world where superheroes have been real for decades, Arthur (Newman), an accountant with mental health issues and zero powers, comes to suspect his city is owned by a global super-villain, The Terror (Jackie Earle Haley) who has been long thought dead. As Arthur struggles to uncover the conspiracy he falls in league with a strange blue superhero - The Tick (Serafinowicz). They launch into an adventure brimming with crazed arch-villains, blood-soaked vigilantes, and superhuman freakery. 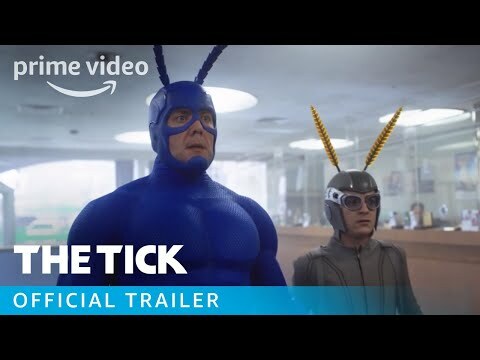 The Tick Season 2 was released on Amazon 16d ago in the US and the UK. Notify me when The Tick Season 2 is available.